However, a new TUC report shows that the fund is nowhere near adequate, as all English local authorities will have just £25m a year to split between them. This is equivalent to 0.02 per cent of local authority budgets or — as TUC general secretary Frances O’ Grady described it — ‘ministerial small change’. The TUC has called on Chancellor Philip Hammond to ‘at least double the £140m pledge’ in the autumn statement, and to give greater control to communities themselves. “EU migrants pay £2 billion more in tax than they take out. It’s only fair that communities across England get to feel the benefits of that extra cash through a properly-resourced Migration Impacts Fund. “The cash has to be controlled by local people so that it is spent where it’s really needed – dealing with pressure on schools and hospitals, stopping bad bosses undercutting local labour markets, and funding English classes. Following the vote to leave the EU, and recognising working peoples’ concerns about immigration, the TUC has been working to develop a left-wing migration strategy. A migrant impact fund, like the one introduced by Gordon Brown and scrapped by David Cameron, is a key plank of that strategy. However, the TUC has argued that the fund should be considerably larger than it was under Brown, and that local communities should have a greater say in how it’s used. 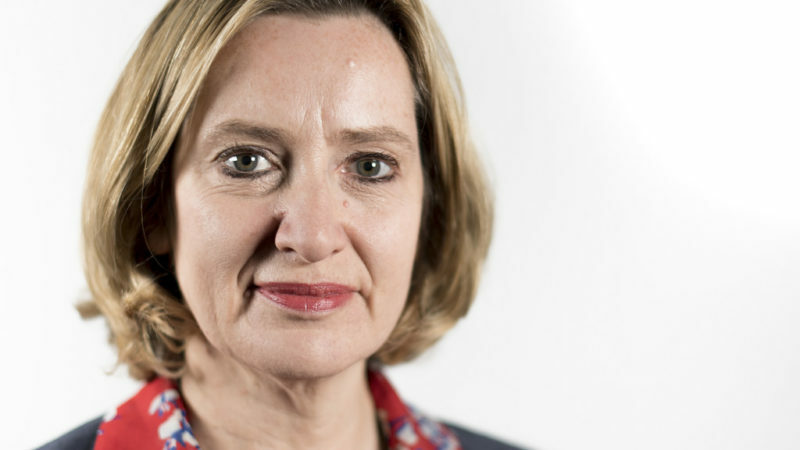 However, instead of following the union’s guidance, Rudd announced a pathetically small central government contribution, rebranded as a ‘controlling migration fund’. Over the course of the parliament, £40m of the £140m fund will be directed to immigration enforcement activities. In other words, the Tory proposal is not intended to bolster public services or build community cohesion, but rather to police and stigmatise migrants. See also: What does a Left-wing migration policy look like? We should not be wasting taxpayer’s money on immigrants. If they cannot afford to live here, they should not come here !!! We aren’t, Godfrey. Migrants pay way more in tax than they use in services. It’s a net benefit to the UK, but we’re spending that cash wrong – only 1% is going to boosting services where the level of need has changed as a result. Utter garbage. A tiny number of rich immigrants from lands like Norway and Switzerland pay more, but other EU migrants barely break even. And Third World migrants are a massive drain. For no net benefit whatsoever we’re crowding our schools and hospitals, destroying the habitats of trees and wildlife to build more houses, the big cities are being de-Englished – and for what? So the liberal left can have its cultural enrichment and ‘rub England’s nose in diversity’. The backlash is long overdue. The analysis of migrants paying more tax is often quoted. EU migrants got jobs, paid tax and contributed positively to the UK economy. Non – EU migrants did not contribute. Strangely enough those in favour of migration never state that. Which is why they and their writings on the subject are treated with derision. ## a polite way of saying they are lying. And, of course, then there are the cultural costs of immigration. As the third generation of immigrants I have a point of view on this. My family arrived from Pakistan and received no help from anyone except for the fact that we were allowed to come here which was enough. Hardw ork and frugality meant that the second generation went into business and higher education and the third both, but writ larger. What the left confuse, I think deliberately, is that not all immigrants contribute to the tax revenues. Some do so massively like the examples given. The waves of those seen at Calais and on the southern shores of Europe don’t and will never. The left is hoist on its own petard that opposition to immigration is racist and even fascist, those are some of the insults and slurs that I have heard thrown at people who have questioned the wisdom of an open doors unrestricted immigration policy which is essentially what the left and the current Labour leadership have always advocated.